When linen is the fabric that compels you for a beach party and you need some short sets made out of the stuff. Successo is the brand that makes mens linen short sets for you. 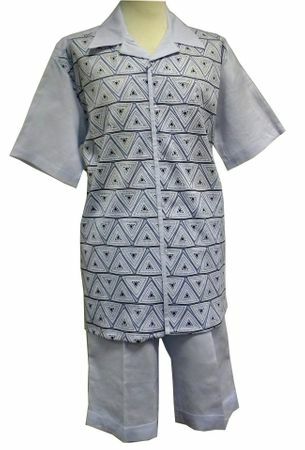 This linen short set is made of light blue color fabric and features a camp style shirt with mesh front and knee length shorts to match,. Find More Mens Linen Outfits Here.